Where Was God in Boston? 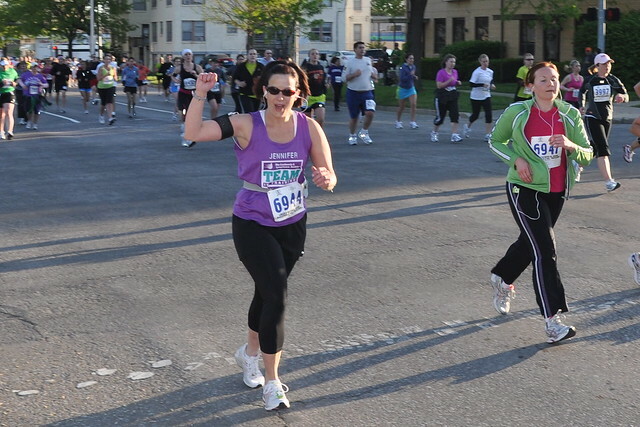 I stood shivering and bouncing among 8,000 runners that cool May morning when the gun shot off. My dad stood at the starting line, pumping his fists in the air. 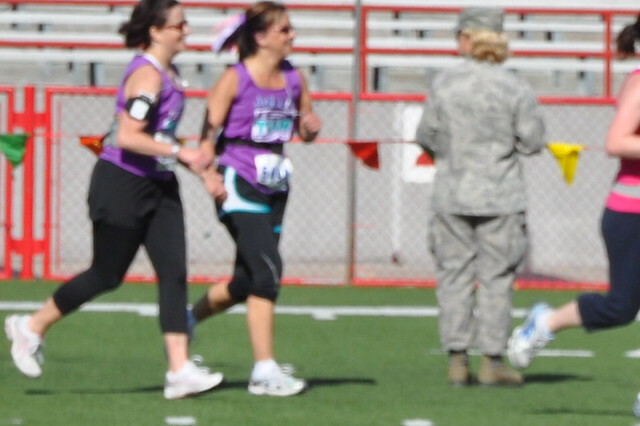 And he would be there again, with my mom and sister, at mile four, and again at mile seven. I remember how proud they were for me, even though I scooted along at the back at the pack. Bob, a pastor-friend, told me a few days before the race to pay attention while I was running because the half-marathon was more than a race. It was an opportunity to see God. I saw these people, everywhere. With pom-poms and steaming Styrofoam mugs of coffee and goofy morning grins. 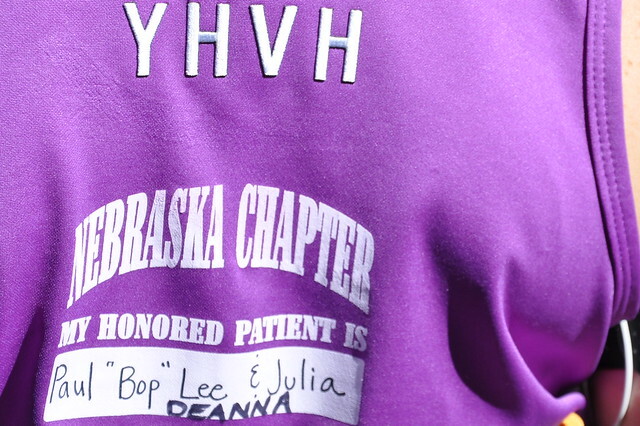 Strangers called out my name, because it was written on the front of my purple jersey. There were hands. Hands held out cups of water, sports drinks, high-fives. I remember mile 10, and how I didn’t know if I could make it up that steep hill; some guy on the sidewalk stepped onto the road to run beside me a while. He wore a ridiculous wig and rainbow-stripe suspenders, and he kept one hand on my back, like he might need to shove me up the hill. They were just a bunch of innocent people who stood on sidewalks to make someone else know they matter. And that’s never a small matter. They saw people. Everywhere. They were lining Boston streets to champion the resolve of the human spirit. Can you see their faces? I can. Maybe it’s because Bob told me to pay attention. And then, — boom — they were the ones hurt. Our cheerleaders got slammed. You know, I needed to write something tonight, not because I felt my voice would add anything of value to this mess. Plenty of people have plenty to say. But it’s #TellHisStory time, falling right here, 48 hours after the Boston blasts. And if I was going to say anything tonight, I wanted it to be about the innocents and the cheerleaders. And maybe because I didn’t want death and sorrow to have the last word here. We can’t let it. And God won’t stand for it. You know, it might look like God was on vacation on Monday morning when Boston happened. It might look like God didn’t do a stinking thing about it. You might even want to raise a fist. Go ahead. Raise a fist. Yell. Question. And by all means, cry. But let’s remind each other of this: God really has done something about this. And his “something” looks like a cross. It looks like an empty tomb. It looks like Jesus. It also looks like the people. It looks like the people with goofy wigs and silly signs and hands clutching cold cups of water. It looks like those same people, not running away when the explosions went off, but running INTO. It looks like the people who jump fences to make tourniquets, who get bloody on account of another soul. Who run into terror when they don’t know if another bomb is gonna blow. It looks like people in your everyday life, who make you know that the good will always outmatch the evil. And someone might say I’m simple-minded and overly sentimental. But I’m just trying to look at the people on the sidewalks, to spy God there, like Pastor Bob told me to. And the people I see — those real faces — help me know that it’s better to believe this: in the end, good trumps evil. I don’t think I could breathe another breath if I didn’t believe that anymore. So, what’s your Story? A #TellHisStory is any story that connects your story into the story of God. In April, we’re considering the theme of change and growth. (Think spring!) However, you are free to share any story that God is speaking into your life. 1. Write your #TellHisStory post, from your heart, straight onto your blog. A #TellHisStory is any story that connects YOUR STORY into the story of God. What story is God telling in your life this week? 2. Link here and invite friends to join in by posting the #TellHisStory badge on your post. 3. Copy the permalink of your post. 4. Using the linky tool, paste your link in. 5. Find someone (or two) in the link-up to encourage with a comment. 6. Come back on Friday to visit our Featured #TellHisStory, in the sidebar. Amen, sister. I’ve simply been destroyed over Boston this week. But feeling a glimmer of hope here today. Thank you – I needed that. Little glimmers. That’s what we offer, isn’t it? One small glimmer, to chase away dark. Goofy wigs and silly signs, yes, it looks like the people too! I am grateful for the chance to be getting to know you and find your words captivating. Prayers as you prepare for this weekend; I will cheer! I can’t stopping thinking about how innocently people come to these things, for the primary reason of cheering someone else on, with a sign or a wig or a high-five or a silly song. And then, boom, the explosion. It’s soul-rattling. Indeed he does. Thanks, Ann. When I heard about Boston, I had an eerie feeling. My husband and I were travelling home on Sunday from Port Elizabeth when I suddenly started thinking about the names of towns that are used as names for people. A random thought slipped from nowhere into my mind. It went something like, “Nothing newsworthy has happened in the city of Boston in a very long time. I only know of the band, Boston, who sang the song, More Than a Feeling.” Since I live in South Africa, I didn’t pay it much attention, but when I heard the news of what happened, I knew that Pappa has been telling me something! I am so sorry for you all. I pray that Pappa will be with you. Oh wow, Mia… Eerie indeed. I’ve had things like that happen before, and it always reminds me to be attentive to nudges to pray for people, whose names God may have just placed on my heart. Thank you for sharing. Well, now I have chills … This is so good and true. It may have been hard to see God in the chaos that was caused by someone’s choice. BUT God doesn’t forsake his people. And he’s always working. Thanks for this reminder. The pain of the world is so much to bear. Just struggling to find a few words to wrap around it. The offering is so small, yet it’s all I have — along with prayer, of course. Go TNT! My husband just ran his first marathon last weekend with TNT Nor Cal, and I LOVED being a spectator. We saw God all over that marathon course, and I’ve seen it in my husband’s life as he recovered from chemo and went straight into running. Thank you for this sweet post and your thoughts. TNT is an amazing organization! I hadn’t run in years … as in, since high school! But within five months, I was running a half-marathon. They were great trainers and encouragers. So glad you shared this. I have also been thinking in the last few days of the half I ran -of the camaraderie between the runners, of the volunteers-some of them kids-offering water, of the older couple that stationed themselves at various points along the course and were there at about mile 11 when I was ready to crash-telling me I could go further. Also thinking of when my husband ran the half and I stood at the finish line with tears in my eyes watching all these complete strangers complete this huge personal challenge. It makes me sad to think that the peace and companionship of a race was shattered, but also doesn’t surprise me to hear of the outpouring of help. I commented to someone else that “runners are like that” and I think that is actually true for the most part-people help each other at races and are part of a race family for a few hours. Glad to think that the family feeling trumps the evil in the world. Thanks for being another voice of reminding that no matter how dark, there is always light, and good is always stronger than the bad. The good wins. I really believe it. I don’t think I could breathe if I didn’t. Thank you for sharing your own story of The Good, Colleen. It’s a way of spreading more light around. Amen and Amen. There is nothing more beautiful than a hand extended to help. Thanks for coming by, and for being a part of the #TellHisStory community. Your perspective is a much needed cup of cool water today. Paul told us that when we run this race we would need eternal-vision, eyes that fix on a finish line that nobody will be able to bomb or destroy. Without a doubt, Jesus was on the streets of Boston this week, still is. And we get to be His hands and feet on our streets too. Amazing grace. 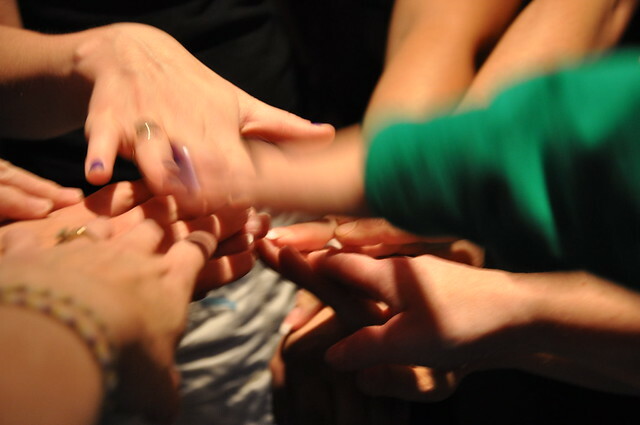 Praying for your retreat this weekend. Wish I were going! Thank you, Alicia. Trying to find words to wrap around the pain. … Wish I could see you this weekend. Someday, OK? Amen, Jennifer…thank you for pointing to Jesus and to those angels lining the street cheering for the runners, and the angels who ran INTO danger to help others. I wept when I saw people pushing down the fences, trying to do whatever they could to get to the victims. Thanks, Jennifer. Just groping for words to wrap around this mess of a world. And then, you look around and see a lot of beauty in that mess. It just makes no sense… And yet it makes perfect sense. We live in a fallen, sin-saturated world where evil things happen. I’m so thankful for those He places along the path to encourage and lift up. And beyond thankful for His healing, redemptive, grace filled love… To His glory. Jennifer, I’m always so encouraged by your words. I appreciated your visit and your encouraging comment! Yes in the midst of tragic heart break we need to be reminded….God is truly a redeemer….my niece called me the other day…the pain of the divorce was blinding her….she said…just remind me God is good….sometimes we just have to remind each other….thanks for the encouragement today! You’re on to something here. The Bible says ‘overcome evil with good.’ When the bombs went off The Balm went on. God was on the scene through those racing to help, through those who hit their knees. If everytime evil raised it’s ugly head a fountain of good sprung up in it’s stead… Would not evil shrink back like dark flees from the light? Keep shining friend. I debated long and hard about blogging about my life on the farm yesterday. I felt like it was almost sacrilege to go on with life when people are suffering. However, I do believe that good overcomes evil, and we all need to be part of the good news. If we let the grief and the sadness consume us, then evil is winning, isn’t it? Cheering others during a race is a wonderful metaphor for life. Thanks for your beautiful thoughts today, Jennifer, and for the opportunity to link up through Tell His Story. I’m a day late, but I thank you for this. I’m so glad you’ve expressed your deepest thoughts here about Boston. They mirror my own. When I saw the news footage, (here in Ontario, Canada), I confess that my first reaction was pure anger! I just ‘got mad’! All I could think was, “Enough is enough!! !” I am so sick of seeing the carnage on my news report almost every day, if not in the States, then in the other hot spots of the globe. I asked myself, “What can ever be done to combat such evil? Such hatred? Such delight that these people seem to take in destroying the lives of others?” And then, to hear of that wee 8-year-old boy, so innocently cheering his Dad on at the finish line. I cried for him. And then, I heard and saw the images of those runners who just turned around and headed back into the gruesome scene to help others! With no thought for their own safety. You’re right…That’s GOD! We MUST go on believing that “In the end, good trumps evil!” And good trumps evil in the here and now. Those who bravely and selflessly helped others are a true sign of Hope for this weary world. We WILL be restored to the new earth where we will freely love others, raising our hands in triumph and glory! Such senselessness and cowardice. I can’t imagine. But so many stories of people helping people, God is there in the midst you can see him working. God will use even this for good…evil will not prevail. I loved this, Jennifer. You’re such a gentle, true story-teller. That’s why I come back over and over. Thanks Jennifer for sharing this. I’m sure many will be encouraged by your words. Bravo to you for running in a race. Good DOES win. Your post gave me chills.